Did you have a tiring day and want to refill your energy? If you’re an animal person, what would be better than visiting one of the pet shops in Dubai, full of cute, friendly, happy and clean animals. Furthermore, if you own a pet, you would definitely have to visit a pet shop often to get food for him and get him or her cleaned and checked. If you’re living in Dubai, there are many choices of pet shops & stores that you can choose from. One of the most frequently asked questions by the expatriates moving to Dubai is about the pet shops located there. So, here we provide you with a hand-picked list of the best pet stores in Dubai. Aiming to provide healthy and home bred pets, Pets Habitat is one of the best pet shops in Dubai. Having different categories from relocating pets to selling them and from grooming them to buying those pets specific products, Pet Habitat is your one stop solution to all your pet problems and worries. Located in the Barsha, close to Mall of Emirates (MOE), Pet Habitat offers all solutions and services under one roof. Pet Corner, located in Green Community, Market Mall, Dubai, ensures that the customers and their pets are provided with the best offers and a complete selection of pet services and pet related products. The services offered here include canine education, premium food and grooming. Having over 15 years of experience in the pet industry, the owners have made sure that no customers leaves unhappy. The services are provided in the best possible manner and they have the best range of pet products available in the area, making it one of the best pet shops in Dubai. To serve the needs of the pet keepers in UAE, a couple from Denmark decided to open an online pet store in Dubai. The Pet Shop aims at catering to the customers who have daily needs for their pets to be fulfilled. Giving out an outstanding customer service, pet lovers are helping in all the ways and means possible. Located in Dubai Investment Park, going to the Pet Shop is an experience in itself. With clean shelves and happy pets, this is a must visit place for the pet lovers in Dubai. If you’re too lazy to actually visit the pet shop, then the best solution to all your pet problems is Homely Pets, an online portal helping you with your pets. Homely Petz has the largest database of pet professionals present in the UAE, particularly in Dubai. Just making an online account with Homely Petz will open you to a world of pet services, products and offers. Ensuring that you have peace of mind, immaculate care and support are provided to the pet family that you have. Petland Megastore is an international chain of pet stores having its presence in Dubai. 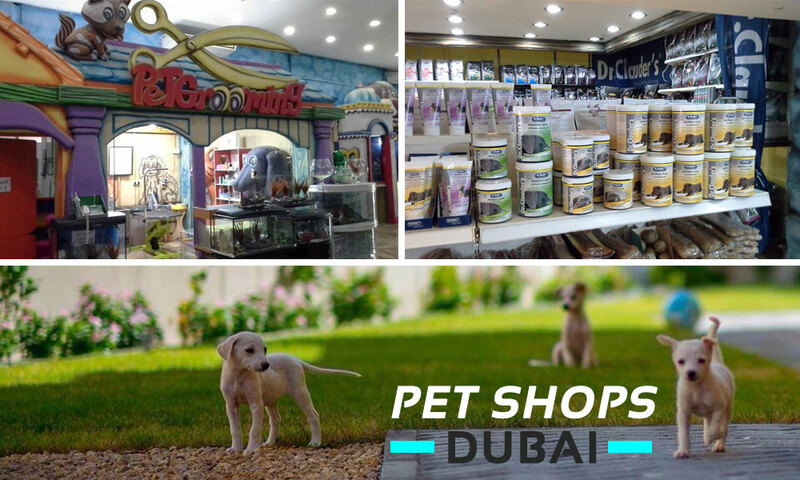 Located on the Sheikh Zayed Road, Petland provides one of the finest pet services and products available anywhere in Dubai. Providing services and products for all kinds and breeds of pets, Petland is one of the finest pet stores present in Dubai. The store also offers quality accessories imported all the way from international stores, Petland is a good place for pets and their owners. Keeping pets is not an easy task, but with stores like these, things tend to become easier. If you want to recommend a pet store in Dubai, please do so by adding comments below.